After overcoming stiff competition from some of the best the Dublin tourism industry has to offer, Pearse Lyons Distillery has been awarded Best Dublin Visitor Experience for a business with fewer than 100,000 visitors annually at the 2019 Irish Tourism Industry Awards. 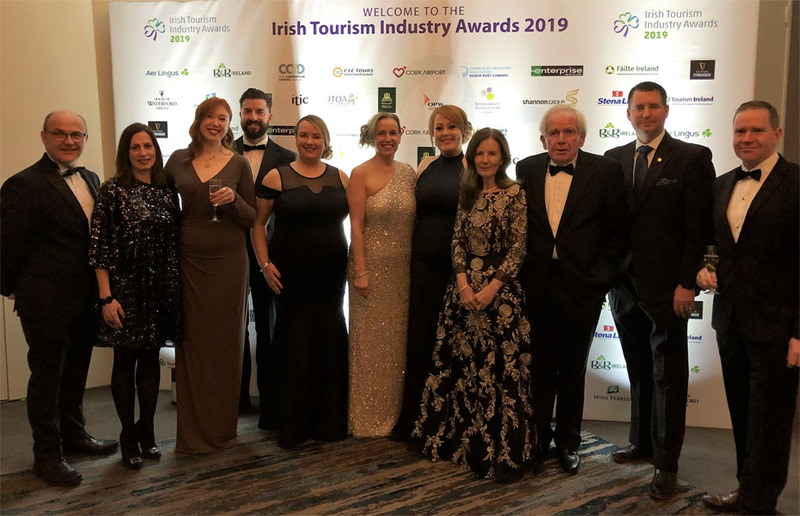 The awards, which take place every two years, are organised by the Irish Tourism Industry Confederation (ITIC), Fáilte Ireland, Tourism Ireland and industry partners. The awards celebrate excellence, innovation and success within tourism, Ireland’s largest indigenous sector, which employs 270,000 people throughout the country. “The distillery team are honoured to receive such an award,” said Tracey Flinter, general manager of Pearse Lyons Distillery. “Our first 17 months in business have shown us the true potential of our unique tourism offering. Our storytellers are passionate, experienced and knowledgeable in the history of the site and all things whiskey, and we pride ourselves on offering small, personable tours in a working distillery. The boutique distillery, which was the brainchild of the late Pearse Lyons and his wife, Deirdre Lyons, co-founder and director of corporate image and design at Alltech, opened its doors to the public in August 2017. The four-year refurbishment and renovation saw more than €22 million invested in the site, which has welcomed more than 30,000 visitors to date.